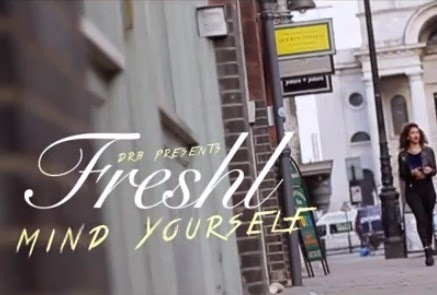 DRB member and rapper Fresh L has unveiled the visuals to his 2013 summer single ‘Mind Yourself’. ‘Mind Yourself’ is one of the many hits from Fresh L including ‘Hennessy Angel’ as well as appearing on band-member BOJ's ‘Mrs Officer’ track. Featuring DRB front man - BOJ, on the track who blesses it with a really catchy hook - Fresh L also calls on Mavin Records recording artist Dr Sid, who drops a singing-rap verse on the song. Shot in London by director Sayo King, ‘Mind Yourself’ is a fun and flirty song and has a fun and flirty music video to go with it. Fresh L has a lot more in store for us this year visually, as a solo artist and with DRB!